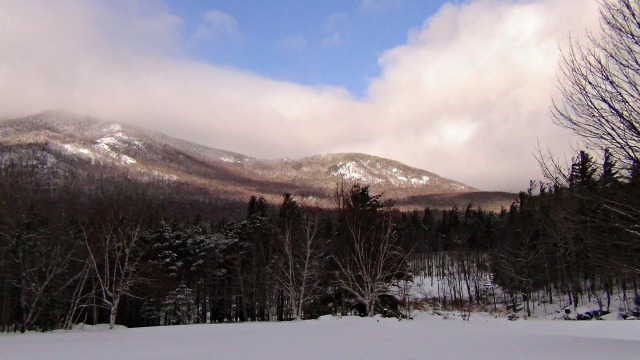 Wilmington is always a great choice for a weekend of skiing at Whiteface Mountain. But it's also a wonderful destination for a couple who doesn't Alpine ski. This adorable little village is all about the romance. It has some delightful features which can make it about just we two. If our idea of a romantic getaway is about spending lots of couple time in low-key, lovely, surroundings, we can offer the right mix of solitude and scenery. Fun ways to go outdoors are all over the area: literally! Many of them don't require much more skill than a willingness to try something fun. 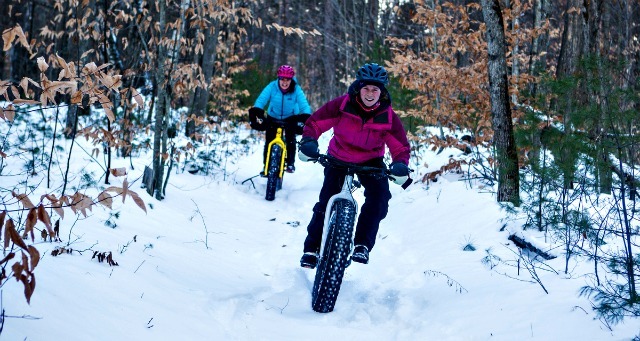 Our trails welcome snowshoes, microspikes, cross-country skiing, and even bikes. 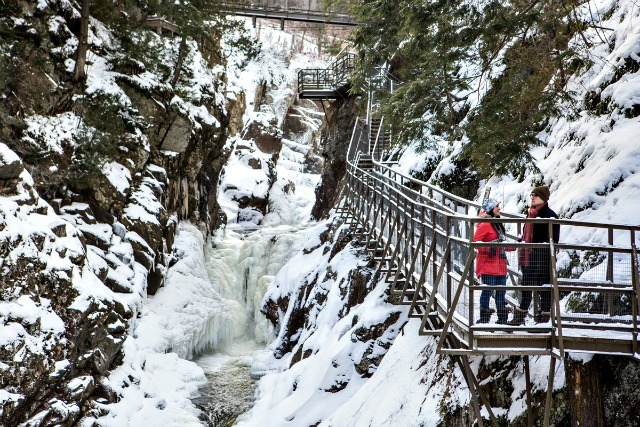 On the easy side, we can explore the glory which is High Falls Gorge. This attraction has a system of stairs and platforms which allows us spectacular views of the rocky riverbeds and granite formations along this stretch of the Ausable River. They provide the proper footwear and have mapped out the best views for us. Enjoy a leisurely stroll, get some awesome photographs, and then warm up with a delightful meal at their River View Cafe. There's the fifty-acre "wild kingdom" of the Adirondack Wildlife Refuge. Walk with wolves, meet an owl, and enjoy the snowy beauty alongside wild creatures. Yes, we still go bike riding in the winter. Fat tire bikes are available for rentals, and there's no end of great places to ride them. All of our activities offer a low, medium, and high gear. It's as simple as a woodsy stroll or as challenging as a mountain. The way to my heart is Candyman chocolate. The official name is Adirondack Chocolates, but for some of us, it will always be Candyman. This chocolate kitchen/gift shop/gourmet treat stop has the best peppermint patties. So large even I cannot eat them at one sitting. I break off a piece and savor it; which is a fine way to eat any treat, actually. Mindful of my own sweetheart, I make my selections. A fun thing about this place is that we can pick one of that, two of those, and several of the other, and it all gets weighed, and paid for, together. It is the ultimate in choice. "Give me six of the chocolate covered cherries," I say to the helpful lady behind the counter. Everything smells so good I want to exercise a teeny bit of restraint. "No, wait, my husband has gotten hooked on them, too. Make it a dozen." "Oh then, you will want our boxed version, keeps them nice." There's so many stuffed animals that any seeker is sure to find just the right combination. 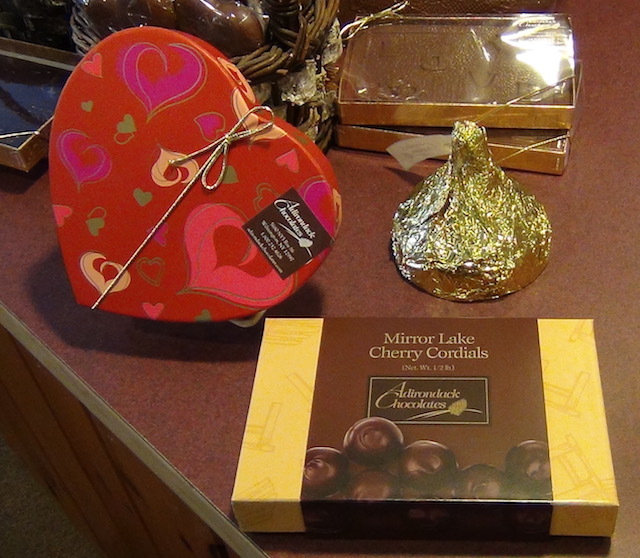 Put them together with our person's favorite chocolates for a very memorable Valentine's gift. 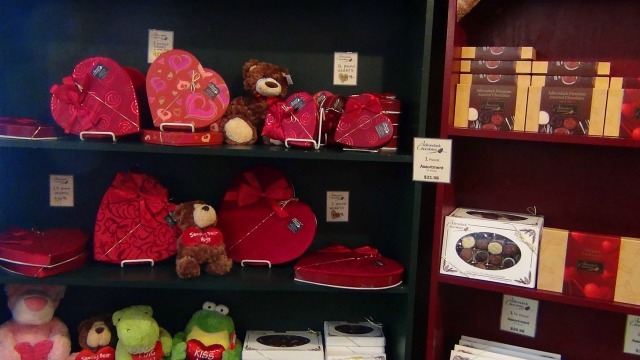 For more about this delicious Wilmington tradition, see our blog, Sweet smell of... chocolate! Lodging and dining in Wilmington can also be romantic. There are very few chains of any kind: we have small, locally-owned places. Many of our establishments are along the Ausable River, or have incredible views of the mountains. The welcome is as warm as the as the air is crisp. 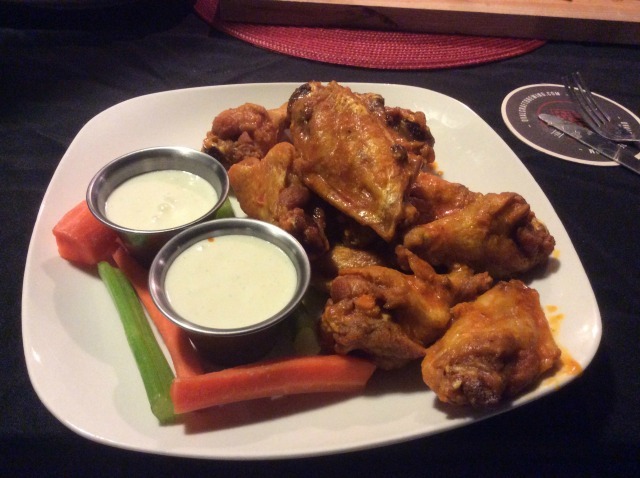 I met with friends at the latest new restaurant, Pourman's Tap House. They have a relaxed pub atmosphere that is becoming very popular with the locals, especially the craft beer aficionados. Local proprietor Jesse Rogers has a shifting lineup of ten area beers on tap, including Angry Orchard draft cider, which was my gluten-free choice of the night. His goal? To have twenty. We started with a Pourman's specialty, the Loaded Tots. 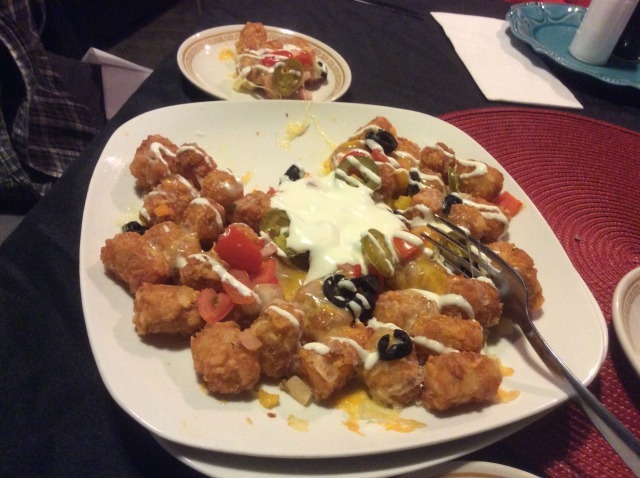 No, these are not toddlers on a binge, but perfectly fried tater tots treated like nachos. Two of us vied for the fresh jalepenos, and two of us gave them up willingly. I tease my friends that they have a "mixed marriage." He likes things spicy, and she, a native, does not. Which brings up a good thing to remember about Wilmington dining: it is authentically local. If we like things spicy, we need to let our server know. This was the first time I'd had their wings, and I should have been clued in since the menu gave me the choice of mild or medium. I went with medium, as I usually do. They were delicious, perfectly cooked, and with homemade blue cheese dressing. But... definitely not the heat I would expect from medium. "How are your wings?" My girlfriend narrowed her eyes as I took my first bite. "I can smell the spicy from here." "You must have been bitten by a radioactive spider," I said after I finished my bite. "These are not spicy." This made her husband laugh. "I think you could get the mild ones here and be happy," he told her. "This really is a hometown place." I could have easily gotten more hot sauce from the server, and I will ask for "hot" next time. This is the warning about the wings... only it's the opposite of the usual warning. As seen above, the empty glass was Vanilla Porter (Township 7 brewery, Malone NY), while on right, a Brown's Oatmeal Stout (Brown's Brewing Company, Troy, NY). The homemade flatbreads are really catching on. My husband got his hamburger with hand-cut fries, which were great (I stole some) but after tasting Pourman's getting-famous homemade onion rings, he will probably get those next time. A recent special was a shaved steak sandwich on a garlic toasted French baguette with horseradish cheddar and red onion. I love pub food, and Pourman's is dedicated to simple, homemade, and tasty touches. And spicy. If you ask. The restaurant is located in a former lodging facility. Plans are to develop the rest of the business into an Adirondack general store above and beside it, complete with a cathedral ceiling and interior trees. There will be new vacation suites built. It sounds delightful. 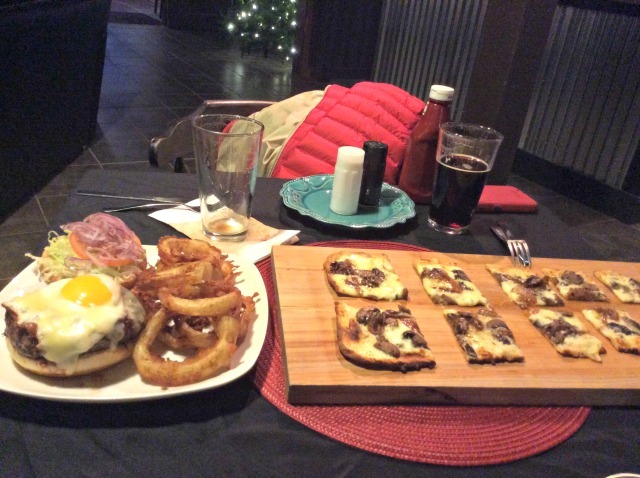 Find out more about this restaurant's beginnings with our blog, Tap your Inner Pourman. Craft our own romantic weekend by choosing the right cabin, inn, or B&B. Don't be afraid of our motels, either. 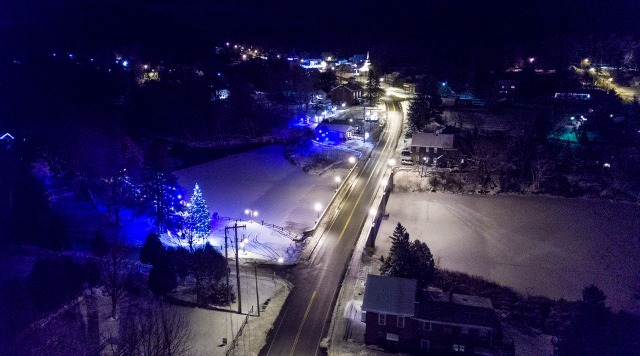 They are decorated to reflect the Adirondacks, have owners on the premises, and feature Great Rooms with fireplaces, books, games, and plenty of hospitality. That's what the Adirondacks are all about. And Wilmington is Real Adirondacks. Find the right cozy lodging. Explore all our wonderful dining. Of course you can ski & ride, too.